Setting up an indoor grow room is something that is incredibly important the first time that you do it, but a lot of people feel lost when it comes to actually getting the job done. If you want to know how to set up a grow room, and the kinds of things that you should have under control if you want to be successful, read on through this kind and find out everything that you need to know. LED: LED lighting is the latest advance in growing technology and serves to provide your plants with everything they need, without waste. The red and blue spectrum lighting that they give your plants are perfect for both vegetative and flowering growth, making them perfect for the most efficient grows possible. HPS: HPS lighting will blast your plants with plenty of light that will help them grow to their maximum potential, but you will also have to think about the temperature more than if you are using LED lighting. Humidity. Humidity refers to the amount of moisture that is in the air inside of your grow room. This is what controls how fast nutrients can be brought into your plants, as well as the amount of perspiration that your plants are putting out.If your humidity levels drop too low, the nutrients won’t transpire through your plants, but if the humidity is too high, moisture will build up and lead to mold, fungus, and plenty of other things that are less than ideal for your grow room. Security. Security is something that you have no doubt already thought about, but it is well worth mentioning here. Once you have set up the lining on your windows and included adequate ventilation, you should still think about extra locking systems as well as cameras if you are especially worried. When you are growing inside of your home, though, you will want to make sure you do everything in your power to make sure it isn’t discovered. When you grow outside of the home the biggest risk is losing a crop, but at your home there is much more at stake. A ounce of prevention is worth a pound of cure, which is never more true than when you are talking about the security of your very valuable and very efficient grow room. Take the time to think about every possible situation and you will never regret it. Temperature. With your plants, temperature plays a large role and makes sure that your plants can carry out photosynthesis properly, but it also makes sure that they come out as great tasting as possible when it is handled properly. Cool to warm temperatures are what are important, but you also are going to have to think about the times of the day that you are providing light to the plants. During the “on” periods, you will have to focus more on temperature control than the “off” hours, so be sure to keep this in mind. Air Circulation. Air circulation is vital for a couple of reasons. 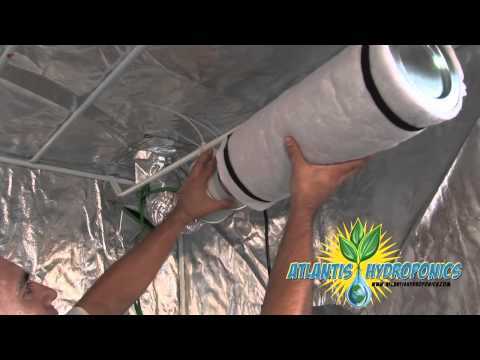 First, a grow room will require a great amount of oxygen in order to supply your plants with everything that you need. Second, proper ventilation will make sure that your plants aren’t overheating, taking care of two birds with one stone, as they say. This can involve high speed oscillating fans, air ducts, and more when it is done right, so you’ll have to arrange your room properly and make sure that you not only have room for the ducting, but you’ll have to have some place to dispose of the highly scented air properly. Carbon scrubbers will get rid of the scent and make sure that not everyone in the neighborhood can smell your plants growing. Nutrient Delivery. When it comes to nutrient delivery, hydroponics are considered the gold standard, but with any kind of grow room you’ll have to make sure that you have the best nutrients available. Measuring them out properly and always taking care to keep an eye on the health of your plants will make this much easier. There are plenty of brands of nutrients available, so read reviews to find out which ones are the best and which ones you should be using on your grow system. In any case, nitrogen, potassium, and phosphorus are the most important and an NPK style nutrient blend will help you provide your plants with everything they need during vegetative and flowering growth. Different ratios will be important during the different stages, but these nutrients remain the same. Before you can set up a grow room you are going to have to pick the space and understand what you will do with it. 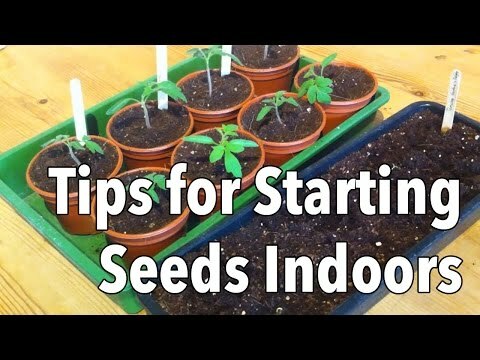 Garages, attics, and closets can be great places to set up your grow if you have the room, so think about them before you start trying to do anything more complicated. Primarily, your room and space will have to have an adequate source of electricity and a way to get water into it. Ideally, the room that you are using should also have floors that are covered in either wood, tile, or cement. If you choose to set up your grow room in a space that has carpet, you’ll constantly be battling against moisture and the mold and fungus that comes with it. Finally, you’ll have to think about windows. Too many windows can give a look into your grow room, which can be a problem. 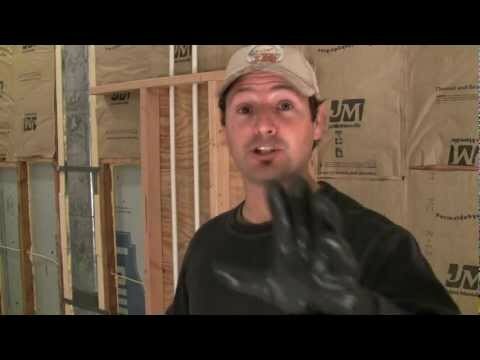 Insulating them in particular will help you keep some of your privacy. Before you start blindly setting up your grow room, you’ll have to know how you a re going to set it up. Plan out everything on paper and work through any problems that you might have ahead of time, that way you can save money in the long run and keep yourself from having to constantly rework things. In particular, you should look at the size of the room in cubic feet to know just exactly how much room you will be working with. Once you have a plan in place, you can buy the right kinds of vents, fans, and lights to take care of the space. Also make sure to plan out where your plants are going to go, making sure you have enough space without becoming cramped and having to deal with exhaust or lighting issues that you didn’t see ahead of time. Once you have a plan in place, start getting the room ready. The first step of this is to insulate the walls and windows, protecting against the moisture, light, and circulation issues that can come up. Mylar is the most common solution for this, and it does the best job of keeping out moisture. For the easiest solution, simply tack it directly onto the walls and keep it as flat as possible to keep things nice and neat. This also serves to help reflect the light back towards your plants, making sure that you save money and make the most of the lighting that you install without having to worry about additional reflection methods. As a general rule, you are going to need 600 watts of lighting for every 6 feet of room that you are growing in. This is of course different if you are using LED lighting. It is very important for you to run the wires in a safe place and ensure that you have plenty of space to move around and give your plants the space they need without causing a fire hazard or a less than ideal method of lighting. Hang the ballasts and everything neatly and make sure that your lights are aimed at your plants, something that should go without saying. The math involved in figuring out what kind of lighting you are using and how much you should have isn’t as complicated as you might think, so take your time. If your plants are going to have oxygen and stay cool, you’ll have to install a quality exhaust system that will take the air out of the top of the room, circulate it, and reinsert it near the floor. Your intake fan should also be smaller than the output fan, making sure that the air flows in the natural way, with hot air flowing toward the top of the room. Experts recommend that the air circulate about thirty times per hour, and moving horizontally to keep the temperature and humidity as level as possible throughout the entire room. Something that not everyone has to deal with, but if you live in colder climates you will have to think about installing a heater to make sure that the air is the right temperature. Cold air can be great for keeping plants healthy, but you will also have to make sure that it isn’t too cold or else you will run into a completely different set of problems. As an added part of this, you can start installing CO2 systems that will add even more carbon dioxide to the grow room and help your plants grow even larger. This is typically something that is saved for more advanced growers, but if you feel up to the task and are willing to go through the extra steps, it is well worth the trouble. Hydroponic growing systems are by and large the best way to deliver nutrients to your plants and ensure that they always have the perfect blend of nutrients that will help them grow larger than ever. This also helps to automate the entire process and make it as easy as possible without requiring daily attention, although you should still be checking on the plants on a daily basis. Now you are finally ready to plant all of your seeds. There is plenty more information available about specifics, but in general you will have to germinate the seeds and then plant them, setting them to 24 hour cycles during the vegetative stage. Once they begin flowering, you will be taking them into a 12 on 12 off cycle that will encourage them to start flowering and growing to the maximum potential. With the right kind of attention paid to your plants you’ll have incredible success for harvest after harvest, providing you with huge profits and the money to start moving into more advanced grows once you have outgrown this beginner style setup. With this basic guide you can have a grow room that functions well and will get you through all of your beginner grows. It might not be the most advanced setup that you have ever seen, but it certainly takes care of your needs when you take the proper precautions and know what you are getting into. Growing can be easy once you have set up your initial grow room, although it can take a while to get used to learning everything that you have to do on a daily basis. Hello.. Thanks for the information.